The retail release will cover all five episodes as a 'season pass disc'. We knew that Batman: The Telltale Series would be coming later this summer, but Telltale has really pushed it to the last days of the season. Warner Bros Interactive has announced that the interactive tale of the Caped Crusader will be coming to PC, consoles and mobile as a digital download in August, with a retail versions scheduled to hit shelves on September 13 (three days later if you are in Europe). The retail release will be a "Season Pass" package that will get you the next four episodes once they become available. Otherwise, you would need to pay for them individually. 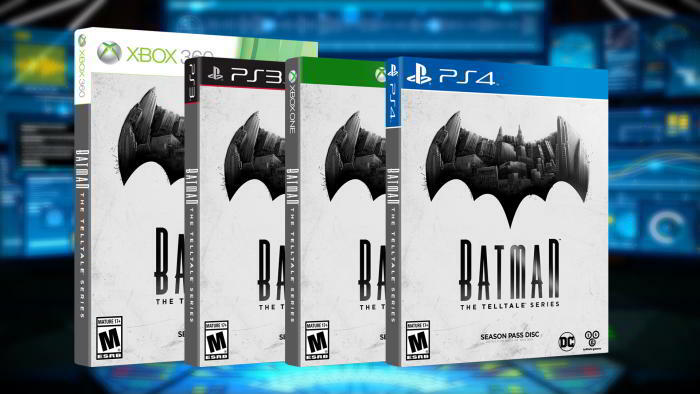 In this new version, Telltale is putting just as much emphasis on Bruce Wayne as on Batman. Troy Baker will be lending his voice to Wayne, with Travis Willingham as Harvey Dent, Erin Yvette as Vicki Vale, Enn Reitel as Alfred, Murphy Guyer as Lt. James Gordon, Richard McGonagle as Carmine Falcone, and Laura Bailey as Selina Kyle (aka Catwoman). The episodic game will get more voice reveals as those chapters get closer to release. Have they revealed any gameplay footage? Nope. They didn't give much when they announced it. It's an odd trickle of detail. I wonder if they're still struggling with some brand elements with WB, so there's very little that has been cleared for them to share.